If you had been walking down the 1700 aisle at The New York Toy Fair in February of 1997 you might have noticed a flip-flop clad guy from Chicago who’d invented an innovative, tangle-free toy parachute. He threw his parachute guy into the air over 100 times an hour to demonstrate how effective it was. Not only did he get a terrible case of parachute elbow but he sold a cargo plane full of them and launched his company, Aeromax. 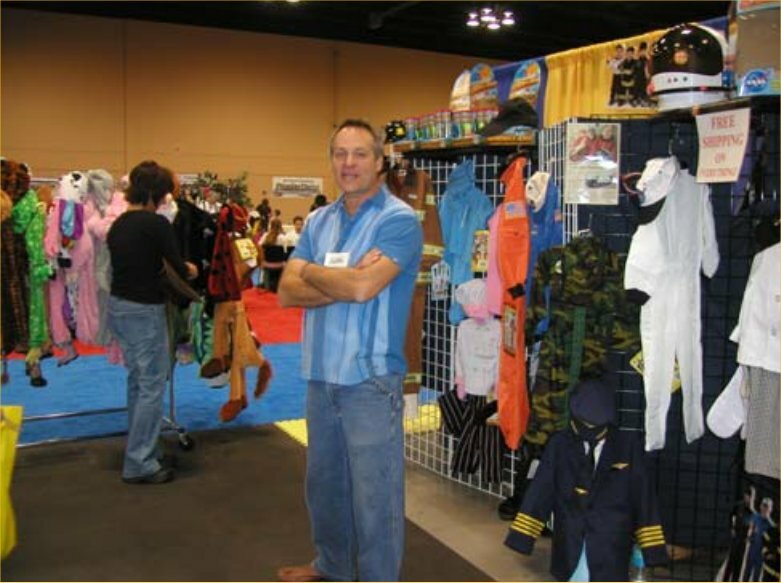 Mark Levine’s Aeromax has become one of the most successful specialty toy companies around. They still sell thousands of parachute guys but they’ve diversified into a company that inspires play through imagination with high-quality, theme-oriented, “let’s pretend” costumes, inflatable racecars and space shuttles and amazing astronaut helmets that link kids with mission control. While it may not make sense to go from parachutes to dress-up to some, according to Levine it makes perfect sense. “I started as a toy company but always had an eye on clothing design, probably from growing up with my childhood in fashion and retail environment. My father had three clothing stores and my mother did all the buying so I guess it just got into the “fabric” of my bones,” said Levine, who still often sports flip-flops at trade shows. ?Since the start, Aeromax has been in a constant growth pattern designing the proper product assortment and creating a market for its higher quality goods. The company has grown from renting its first 460 sq. ft. office in 1997 to purchasing an 11,000-sq.-ft. facility in 2005. It has increased its product line from the initial 1997 parachute to over 300 items. Aeromax has grown from one entrepreneur to seven full-time employees, and an outstanding sales force in the USA. Charitable giving is an important component of Levine’s business plan with thousands of units donated to Kids Wish Network and most recently, Kids In Distressed Situations (K.I.D.S.)." And yes, they still make their famous Aeromax 2000 Tangle Free Toy Parachute, which is iconized in the company’s logo.